In talking to people during the writing process of my book, I have discovered repeatedly that everyone has a story. True stories or books and movies based on real events are the most interesting in my opinion. Our lives are filled with triumph and tragedy, love and loss, pain and perseverance. Life can deal some difficult blows, but how we react to is different in each person. Therein lies the story. On a recent flight we watched a movie “The Good Lie,” a heartbreaking but inspiring story of “The Lost Boys of Sudan” who survive the razing of their village and the brutal murder of their parents. Together they form a small family unit, as they flee to safety, carrying only a few necessities, among which are a Bible. Eventually joining another larger group of refugees they trek along the African plains and jungles for over 700 miles. Along the way, they lose loved ones, to illness, kidnapping and later in the narrative to bureaucracy. Stunned and shell-shocked, they spend the remainder of their childhood and teen years in a rudimentary refugee camp, eventually arriving in the US, where they are completely baffled by the complexities of modern conveniences, employment and social realities. It would have been so easy for these young men to stay stuck in their tragedy, when everyone who mattered in their lives had been taken and all semblance of normal life was stripped away. But though they come close to losing their way, they cling tenaciously to hope, to faith that seems absurd at times and to the kind of integrity that loses one of the characters his job. I am fortunate to never have experienced real trauma in my life. I have never faced starvation, abuse or lost a close loved one too early, but I struggle with chronic physical issues which on many days make me want to give up, and just eat the whole box of chocolates. By myself. That’s OK for a little while. Sometimes, when we are reeling from pain and loss, we need to rest, grieve our losses and nurse our pain and lament. But there comes a time when we need to get up and work through our sorrows. We need to seek out the beauty from the ashes, look for the sun behind the clouds and tenaciously move on clinging to whatever shreds of hope are left. Even in our brokenness, we can reach out to others. While trying to find their way in a strange land and culture, these young men in “The Good Lie” clung to the hope of re-unification of some their group. Were they still sad? I don’t doubt it for one second, but they hung in. 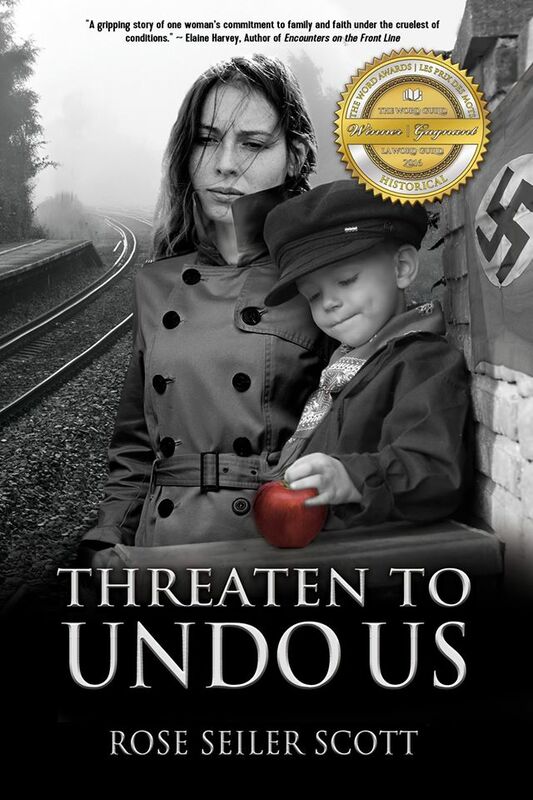 My book “Threaten to Undo Us” tells the story of other people who persevered even when all seemed lost. The original title I had chosen was “A Mighty Fortress,” which to me speaks of a God who is ever faithful even when He is silent, a refuge of faith where we can hide. Faith in God is greater than anything this evil world can throw our way and overcomes repeatedly even when, in our human view things have gone completely sideways. He promises beauty for ashes and gladness for mourning for those who hang on and look for it.